A new leak of contaminated water underscores just how difficult the 4 decade decommissioning process will be. This week, Tokyo Electric Power Co. (TEPCO) announced that 300 tons of contaminated water has leaked into the ground from a storage tank at its stricken Fukushima Daiichi atomic power plant. This comes on top of last month’s admission that groundwater sourced from nearby mountains was pouring into the Pacific Ocean each day after mixing with contaminated water from the nuclear facility’s basement. This combination of water leaks presents yet another serious challenge in the arduous process of decommissioning Japan’s nuclear facility in Fukushima. The more recent development of storage tank leakage is of particular concern and has prompted Japan’s Nuclear Regulation Authority (NRA) to raise the threat level to 3 on the International Nuclear and Radiological Event Scale (INES). Although that move will require confirmation from the International Atomic Energy Agency (IAEA), a level 3 declaration would be the most serious elevation since the maximum threat level of 7 was issued in the wake of the 3/11 nuclear crisis. The main problem with the water from the storage tank is that it is highly radioactive. Ever since the 2011 meltdown, TEPCO has had to cool the reactor cores by continuously pumping water into them. This process results in the daily accumulation of 400 tons of contaminated water, which must be stored on-site. To accommodate the rapid build-up of water, 350 of the 1,000 water storage tanks that TEPCO has built are temporary tanks made of steel sheets with plastic fillings to seal the junctures. Unfortunately, a leak occurred and released water that is so contaminated a person standing close enough would “receive a radiation dose five times the average annual global limit for nuclear workers” in an hour’s time, according to Reuters. Scientists have consistently found radioactive isotopes like cesium-134 and cesium-137 in water holes and fish near Fukushima since the crisis began in 2011. Now, Ken Buesseler, a senior scientist at the Woods Hole Oceanographic Institution, has raised concerns about strontium-90, another radioactive isotope that is arguably more dangerous than cesium due to the fact that it is bone-seeking and can build up in fish and humans. Compared to cesium-137, which “goes in and out of fish and our bodies quite quickly,” Buesseler says that Strontium can be retained in fish bones – and our bones if we eat the fish – for a longer period of time. This makes it more hazardous to our health. This does not bode well considering that the storage tanks have “100 times more strontium than cesium,” according to Buesseler. In light of the recent storage tank leak, on top of other current leaks and those that might occur in the future, the proportion of strontium leaking into the sea may rise to a higher level. While more studies and data are needed to determine how much of the storage water is staying in the ground and how much is finding its way into the sea, preliminary estimates are not encouraging. Japan’s neighbors have not taken this news lightly. China expressed “shock” and its Foreign Ministry released a statement urging Japanese authorities to “…take effective steps to put an end to the negative impact of the after-effects of the Fukushima nuclear accident.” Citing concerns about the radioactive leaks, South Korea’s Asiana Airlines has announced the cancellation of charter flights to Fukushima City – a popular tourist destination for golf and hot spring enthusiasts. 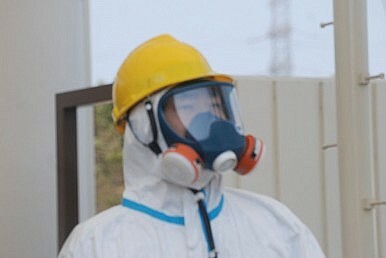 As domestic and international pressure builds, TEPCO and Japanese authorities have a number of challenges to address. In the near future, Japan will have to deal with the water issue head-on by transferring the liquid to proper, welded storage tanks that will have safeguards against earthquakes. TEPCO is looking into chemical and physical barriers for the groundwater and is hoping to use a system (under development) that filters radioactive contaminants from water – which would ostensibly allow the utility to dump the purified remains back into the ocean. However, no matter how effective these solutions might be (which is disputed in itself), they are simply stopgaps compared to the much larger project of decommissioning the Fukushima plant as a whole. The reactor cores, some of which have melted down, are the source of the problem since they are contaminating both the passing groundwater and the water being used as a coolant. And when it comes to removing the fuel rods, that process has so far proven to be a herculean task that may take 40 years or more to complete. While decommissioning generally takes a long time even for non-crisis situations, handling the Fukushima facility’s cooling requirements and radioactive waste management has made the whole operation more difficult. With the revelation of the recent storage tank leak, not only has the Fukushima nuclear crisis reached a severity not seen since the 2011 disaster, but it has evolved from being an acute crisis to a chronic one. The valiant effort by workers and authorities to contain the situation should be acknowledged. However, in the end the overall operation has been inadequate—to say the least. Fukushima Decontamination and Cleanup Will Cost $50 BillionWhat Japan Must Do NowRussia Races to Outflank China in Middle East Nuclear Technology MarketPowering the Future of Japan’s Industrial-Political EconomyWaterworld: How Worried Should We Be About Fukushima?